The biggest fashion gala of the year finally arrived on the ‘First Monday of May’. The preparations have been on its way for months and today the glitterati hit the red carpet for the unveiling of this year’s Costume Institute fashion exhibition, Manus x Machina: Fashion in an Age of Technology. It is a crossroads of sorts; wearable man-made couture and technology-based fashion. With the ongoing debate of ‘fashion is art’, this exhibition is quite a celebration of the importance of couture and the futuristic elements of fashion. As the Met Gala got on its way, the anticipation began as to how the celebrities would interpret this theme into their red carpet attire. In years past, many of the stars have failed short in accomplishing the mission of paying homage to the theme of the of the night. Now, moving on to the red carpet’s best moments. There was a heavy metal, futuristic vibe happening without question. Many of the starlets showed up in some interpretation of a metallic gown with a very dark, bold lip. One of the wow moments of the night was when Zac Posen presented a pale blue ball gown worn by actress Claire Danes. The dress was made with a custom fiber optic woven organza that lit up in the dark. Beautifully crafted and it was a true modern day Cinderella meets technology moment. The other special moment of the night was when model Karolina Kurkova arrived in a couture Marchesa show stopper. The gown exuded an airy and light feel and with just the right amount of floral appliques. The brilliant part of this gown was that the flowers on the dress glowed as they included 150 small LED lights and changed colors in real time depending on the ‘mood of the fans on social media. This forward, well thought up concept was made by the team at Marchesa who worked with IBM Watson. This masterpiece was designed by a cognitive computer system. Talk about romantic couture meets fashion technology! These were the two moments that by far exceeded the expectations on the red carpet and will be remembered as some of the most memorable looks of the Met Gala’s history. We give you our list of best dressed including other celebrities that brought their A-game to the evening. We celebrate those ladies that took a risk and who embraced the marriage of couture and modern technology. It’s a double fashion feature here at One Style at a Time. If you thought all the fashion buzz ended with the closing of the Oscars show well, not quite. The Vanity Fair after party is always a main event where the who’s who of Hollywood gather to continue the Oscars celebration. In fact in recent years, the red carpet looks at these after parties have been better than those at the Oscars themselves. We didn’t want you to miss out on some of the best after party fashion. As you can see white continued to stand out as a trend as well as pastels, sequins and metallics. We have to say we preferred the gowns that Kerry Washington, Sofia Vergara and Rachel McAdams opted to wear at the Vanity Fair event. An improvement from the red carpet looks at the actual awards show. Awards season came to a culmination on Sunday night as the 88th Academy Awards celebrated one of their most controversial award shows ever. Comedian Chris Rock hosted the event and showed no restraint when addressing the #oscarssowhite subject throughout the show. He was the right man for the job as he made his points clear with his signature comedic delivery. He kept the audience entertained in what was as expected a very long-winded show. Now on to the fashion of the night! We always want and expect are favorite actresses to pull out all the stops especially with so many beautiful gowns that we’ve been following for the past months on the runway. Yet, it seemed like although there were some standout fashion moments, overall the red carpet fell a bit flat in a collective way. There were some nominated actresses who failed in our opinion such as Alicia Vikander who is the face of the fashion house, Louis Vuitton. 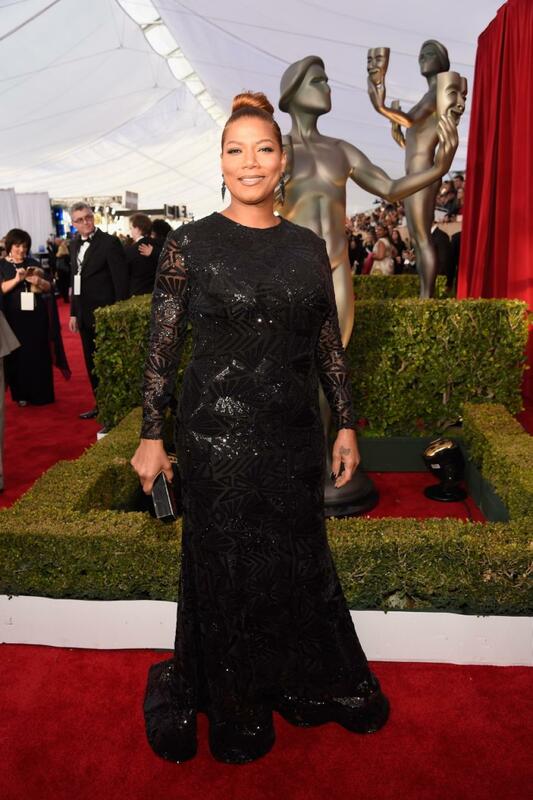 Her hair and makeup were underwhelming and the dress just didn’t hit the mark for such a grand moment like the Oscars. Another A-list that didn’t exactly wow us was Charlize Theron. An out of this world beauty who is known for having some of the best red carpet moments in the past. This time, she wore a very simple, red, deep v-neck gown by the house of Dior. Again, she is under contract with the Dior label as is Jennifer Lawrence. Sofia Vergara wore a navy, strapless Marchesa gown that together with the darker hair and makeup just seemed to age her. Kerry Washington wore a Versace leather bodice and white gown that was all wrong for an Oscars event. So who brought their A-game and were winners at the Oscars red carpet? Here we go! 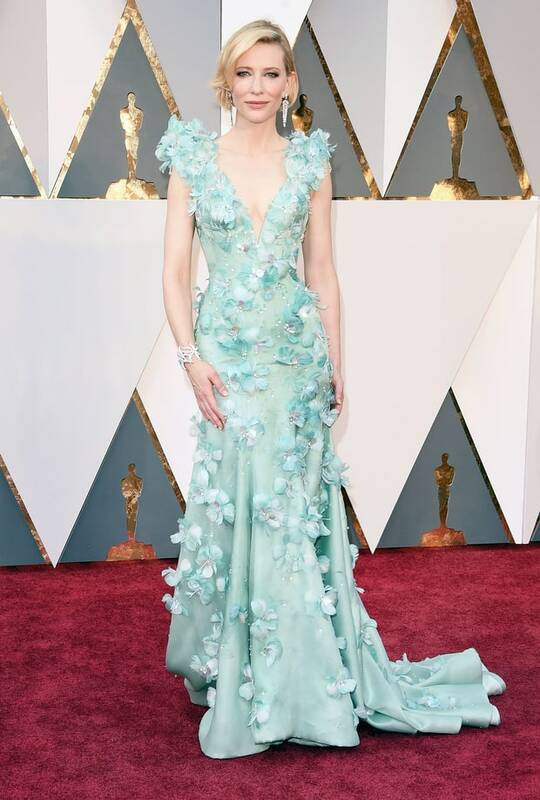 Oscar-nominated Cate Blanchett was a vision in a seafoam Armani Prive gown. The feather and floral adornments with crystals gave this dress some added texture. When the crystals hit the light on stage it was just so beautiful. The look was balanced by Tiffany & Co Blue Book jewelry. Brie Larson brought some color to the red carpet. A royal blue pleated and ruffled custom made gown by Gucci with a jewel-encrusted belt to a bit of detail to the waist. It worked, as she kept her hair and makeup simple. The dress spoke for itself. Chrissy Teigen wrapped her growing baby bump in a red beaded, long-sleeved Marchesa gown.Her best accessory was her talented and doting husband John Legend. Oscar-nominated Lady Gaga definitely proved to bring some much-needed fashion risk and drama to the red carpet. White was a significant trend and she looked terrific in a white jumpsuit with a voluminous train by Brandon Maxwell. Saoirse Ronan who was also a nominee for her portrayal in the movie ‘Brooklyn’, honored her Irish heritage in this emerald, sequins, deep V-cut by Calvin Klein Collection. It was revealing in the back and front and showed a sexier side to Ronan. Keeping with the emerald theme the jewelry was by Chopard. Tina Fey may have a more classic red carpet style but she knows what fits right for her body type and tailoring is always impeccable. Here in a royal purple Atelier Versace gown that was draped to perfection. The Bulgari sapphire and diamond necklace was all she needed to pull this all together. Bollywood Actress Priyanka Chopra who is also a former Miss World dazzled in a white, embellished, strapless Zuhair Murad gown. A natural beauty, her hair was sleek and pulled back as she shined in 8 million dollars worth of diamonds by Lorraine Schwartz. Monday night the Grammy awards were handed out to some of the biggest names in music today. Some of the big winners included Taylor Swift, Ed Sheeran, The Weeknd, Bruno Mars among others. Taking a look at the red carpet and all the fashion there were some clear winners there too. Starting with the two besties of the night, Selena Gomez dazzled in a blue shimmering Calvin Klein and Taylor Swift in a red bandeau and high-waisted hot pink cut -away skirt by Atelier Versace made quite a statement. There was pops of color including a green beautiful gown worn by Tori Kelly who also channeled a bit of Old Hollywood. The very talented Janelle Monae brought her signature black and white style and always knows how to re-invent it with her unique touch. As usual, the best-dressed couple went to the flawless and very pregnant, Chrissy Teigen and John Legend. Those two always radiate such great energy together and through their fashion. Scroll down to view the complete list of best-dressed. Who were some of your favorite Grammys fashion moments? The SAG awards were this past weekend in Los Angeles and all the A-listers came out to play dress up on the red carpet. The celebration continued for the televison and film industry. Overall, the men were quite dapper including the always handsome Leonardo DiCaprio, Eddie Redmayne and Idris Elba, which were some of the best-dressed gentlemen. Hunting for some fashion favorites with the ladies of hollywood was not a difficult task but finding extraordinary fashion was not exactly the name of this game. There were some ladies that definitely missed the mark. We are talking to you Eva Longoria, Julianne Moore, Rooney Mara and Nicole Kidman. We are less than a month away from the Academy Awards and the countdown to the big night continues. 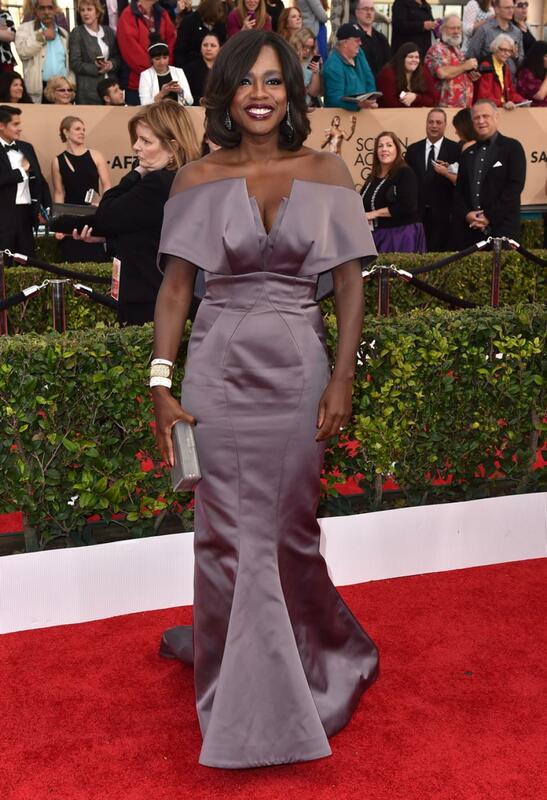 We leave you witih some of the best dressed from head to toe at the 2016 SAG awards. So which were some of your favorites?